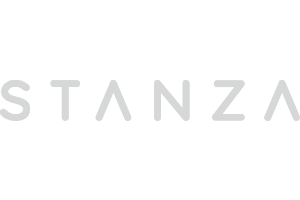 Stanza, a tool that lets users sync calendar events and allows hosts to update the events in real time, has received a $4.3 million seed funding round to help it expand its target audience beyond professional sports events. The funding came from Metamorphic Ventures, Founder Collective, Tekton Ventures, Western Technology Investment, and Stanford-StartX Fund, as well as angel investors that include former NFL players Ronnie Lott and Harris Barton. Previously focused on professional sports, the company’s existing customers include the Minnesota Timberwolves, Sirius XM Radio, and the Boston Breakers. Now, the Stanza is trying to gain users who plan any type of event, from a cooking class to a school field trip, the company said in a statement. When the attendee of an event—for example, a person planning to go to a cooking class—clicks Stanza’s “add to calendar” button on the event’s website or through an e-mail invitation or newsletter, Stanza syncs the event to the attendee’s personal calendar. The Redwood City, CA-based company, formerly known as SpotOn.it, allows the event host to update aspects of it, such as the time or location. A cooking class could update the event listing with recipes from the class, or other services could be added to encourage additional sales, Stanza said in a statement. The company said it’s charging $7 per month for the first year for people who sign up through the late summer. After that, the price will increase to $15 per month.